This beautiful girl is Missy. She's an 8 year old senior Labrador Retriever mix who's found herself at the Humane Society of Missouri's Chesterfield animal shelter. Missy loves people, especially when they're petting her! She's spayed, housebroken, and walks very nicely on a leash. Help Missy find a home for the holidays! 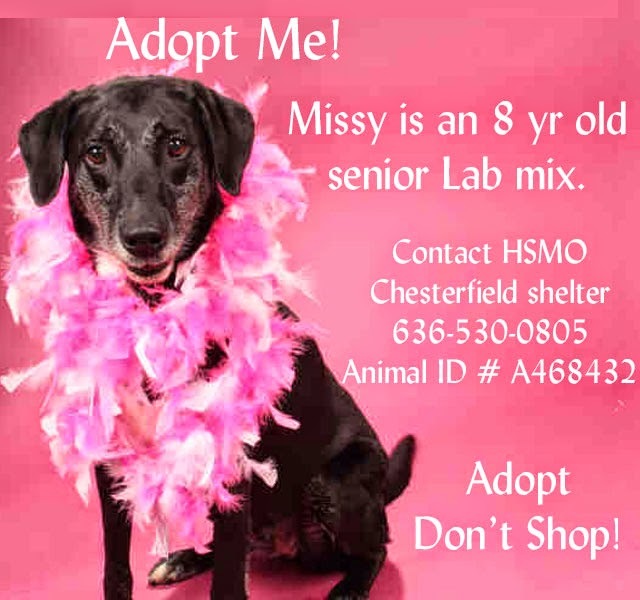 Watch Missy's adoption video and then call the HSMO at 636-530-0805 for more information about adopting this sweet dog. 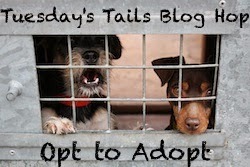 Missy's animal ID number is A468432. I have a friend who I'm trying to convince to get a doggie, I'll show him Missy and hope he falls in love with her as deeply as I did! She looks like a movie star! Shared! What a great picture of Missy! She is royality. What a cutie she is! Shared, and hope she finds a home very soon. I shared her on Pinterest, Love that all her important info is right on the photo, I think that will help the right person find her.